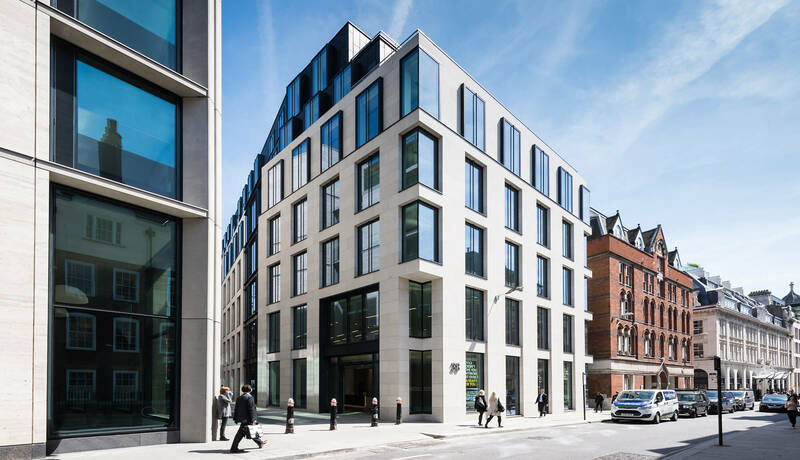 The Cursitor Building is located in Mid Town, a short distance away from Holborn and Chancery Lane tube stations. The office occupies a prominent corner position on the east side of Chancery Lane. 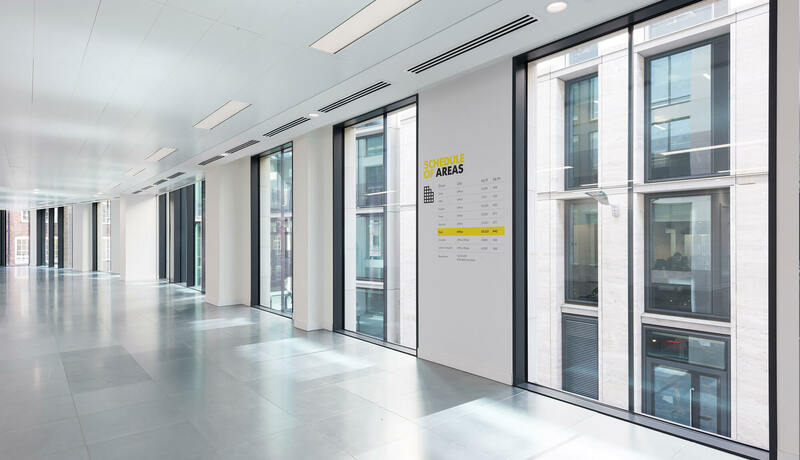 Planning permission for a comprehensive office refurbishment was sought and achieved, which was successfully implemented and the works have subsequently been completed. 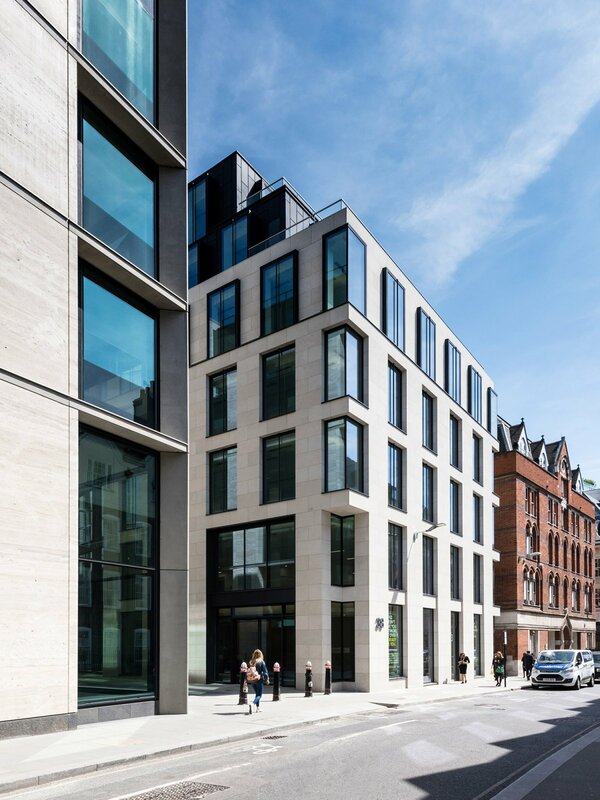 The development consisted of a refurbishment of the existing structure at 38 Chancery Lane. 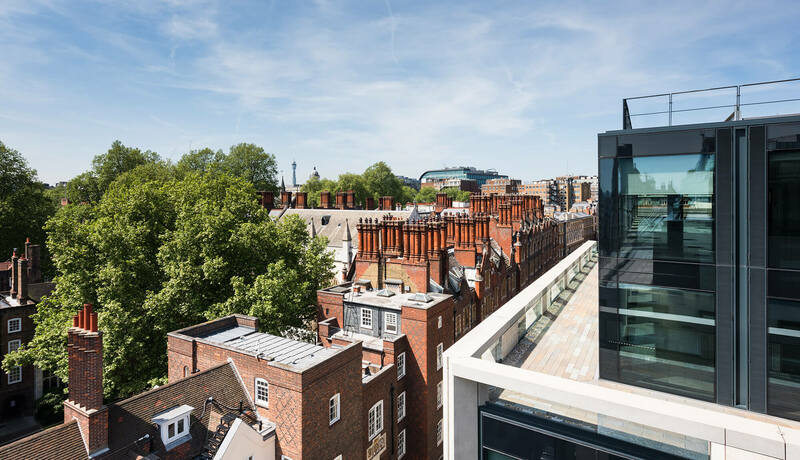 The original skin of the building was removed and replaced with a modern Portland stone and glass façade covering the majority of the property. The modernisation of the building’s appearance has also been reflected with more efficient services and building materials to reduce future running costs. 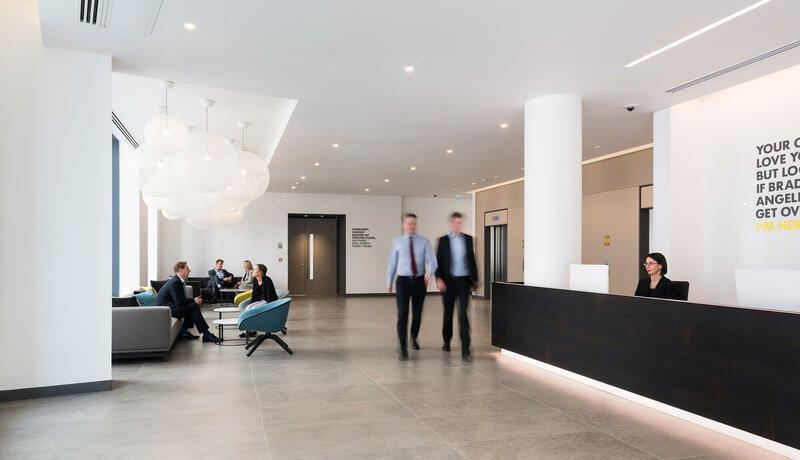 Internally the office spaces have been fitted to a Cat A standard with a perforated metal ceiling, Low Energy Zumtobel LED luminaires and a fully raised access floor of 100–150mm. 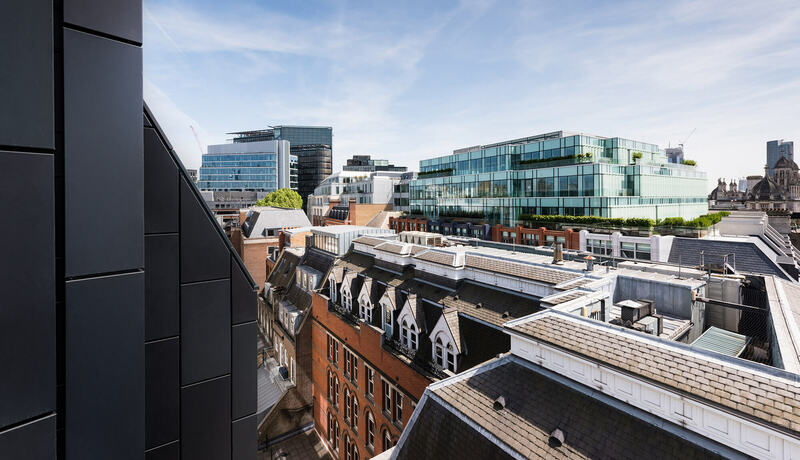 To increase the quality of the office floor space provided, the existing building cores have been rationalised and the upper floors reconfigured with the existing 5th floor being demolished and a new 5th & 6th floor being added in its place. The total area of the new building is 65,952 sq ft (NIA). The spacious reception area has been designed with contemporary features and high-end finishes to create an impressive entrance. 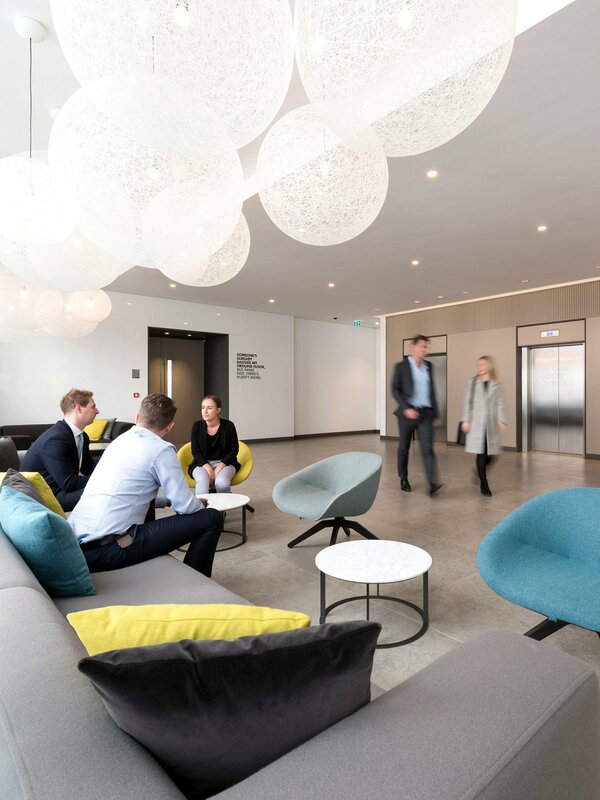 Design features such as an illuminated high-polished lacquer wall, specially designed oak reception desk and a seating area under feature lighting will create a bright, modern reception for employees and visitors, with bespoke finishes flowing through the lifts to the office floors. The office floors have been finished to the highest standard and offer efficient, spacious floor plates with excellent floor to ceiling heights of 2.7m. The building has full height glazing on three sides, allowing an abundance of natural light, and benefits from terraces on the fifth and sixth floors. The office floors have been finished to the highest standard and offer efficient, spacious floor plates with excellent floor to ceiling heights of 2.7m. 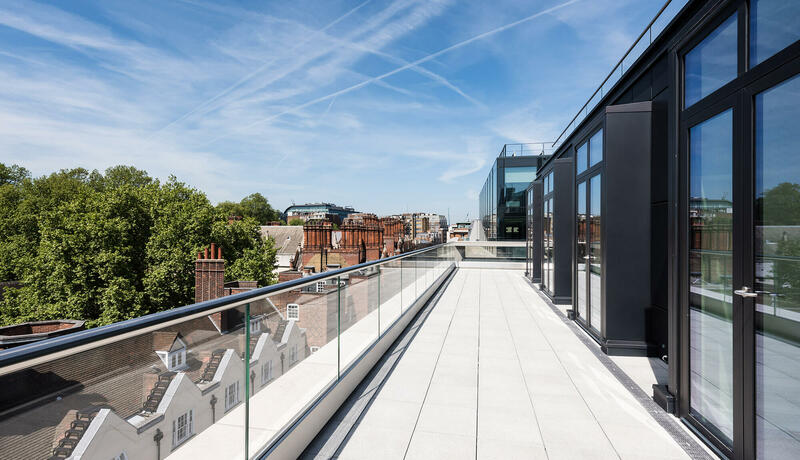 The building also features full height glazing on three sides, providing an abundance of natural light, and benefits from terraces on the fifth and sixth floors.